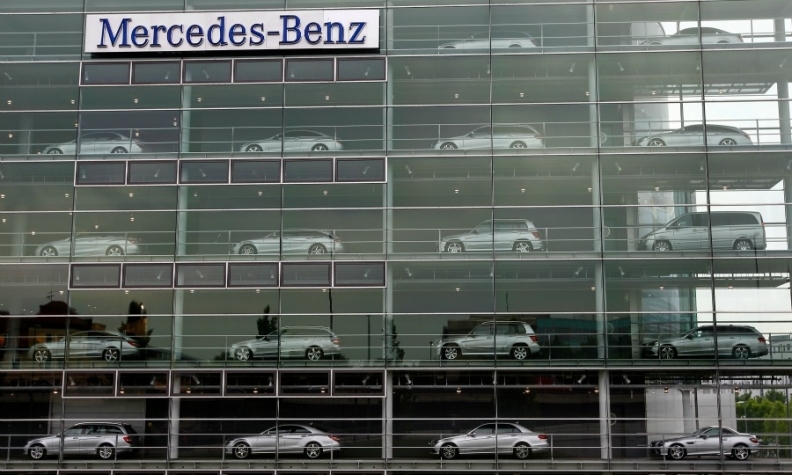 Mercedes depends on company-owned dealerships for roughly half of its sales in Germany. FRANKFURT (Bloomberg) -- Daimler is considering scaling back its vehicle retail organization in Germany and ending production of electric-car battery cells in an accelerated push to reach its profitability goal. Mercedes-Benz's parent presented plans to sell 36 sales outlets in Germany that employ 1,500 people, Daimler's works council said in a statement Wednesday. The manufacturer also is looking to shut its Li-Tec battery cell plant in Kamenz, Germany, by 2016 and shift to an outside supplier, Manager Magazin reported separately, citing unidentified people at the carmaker. CEO Dieter Zetsche has vowed to increase operating profit at the Mercedes-Benz Cars division, which includes the Smart brand, to 10 percent of sales, exceeding margin targets of larger competitors BMW Group and Audi. Zetsche has held off from setting a deadline for reaching the goal since scrapping an already delayed target date in 2012. First-quarter earnings before interest and taxes at Mercedes amounted to 7 percent, less than margins of 9.9 percent at BMW, the world's biggest luxury carmaker, and 10.1 percent at Audi, which ranks No. 2 in premium vehicle sales. Daimler is focusing on investments in automotive and truck businesses while disposing of assets outside those industries. The company got rid of its stake in planemaker Airbus Group last year, and agreed in March to sell its 50 percent holding in an engine joint venture to partner Rolls-Royce Holdings. The German automaker will probably use battery cells from LG Electronics Inc. instead of its own components once a new electric version of the Smart microcar goes on the market in 2016, Hamburg-based Manager Magazin reported. "We are working on the future positioning of Li-Tec," Hendrik Sackmann, a Daimler spokesman, said in an e-mail reply to questions, reiterating comments from a year ago. "The battery business is growing rapidly, and everything is going according to plan at Li-Tec." Daimler's retail employees are currently working under an agreement that preserves jobs until the end of 2017 and prevents the sale of its own dealerships until the end of 2015. Individual sites, which belong to a larger dealer, can be disposed under the agreement. The carmaker plans to consolidate its dealerships regionally and cut about 340 administrative jobs in the move, according to the works council. Daimler employs about 15,000 people in the 33 dealerships, including 158 outlets, that it owns in Germany.